Peachtree Publishing Company, 9781561458356, 176pp. 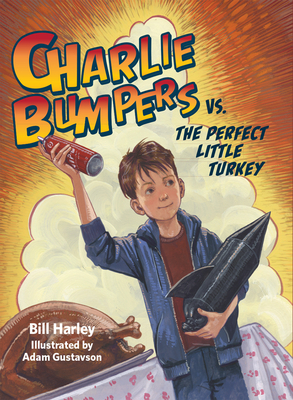 It's Thanksgiving in the Bumpers' household and Charlie has to be the perfect host to his annoying little cousin, Chip. Chip makes everything hard for Charlie--gets him in trouble, ruins his things, and generally makes a nuisance of himself. On top of that, for homework, Mrs. Burke has assigned Charlie the task of writing what a family is to him. How will Charlie be able to see past his "turkey" of a cousin to understand the real meaning of family?